James Henry went to college at Southern Mississippi. A dangerous punt returner and defensive back, he had 23 punt returns for 399 yards and 2 TDs his senior year. Over his college career James had 8 punt returns for touchdowns. 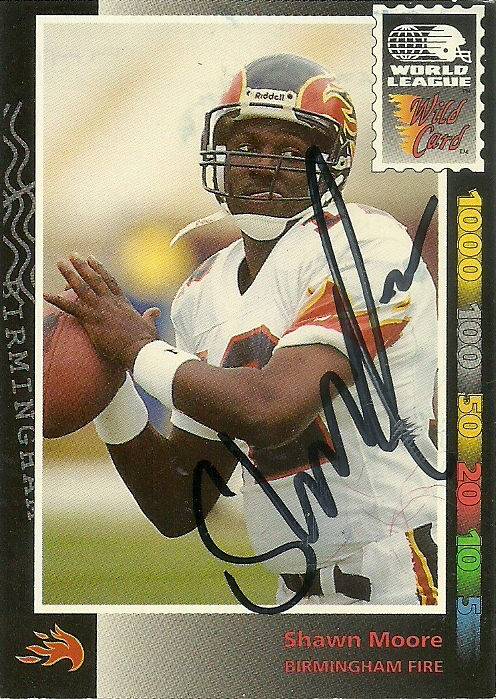 Selected in the 4th round of the talent laden 1989 draft by the Seattle Seahawks, James failed to make the squad both in ’89 and ’90. 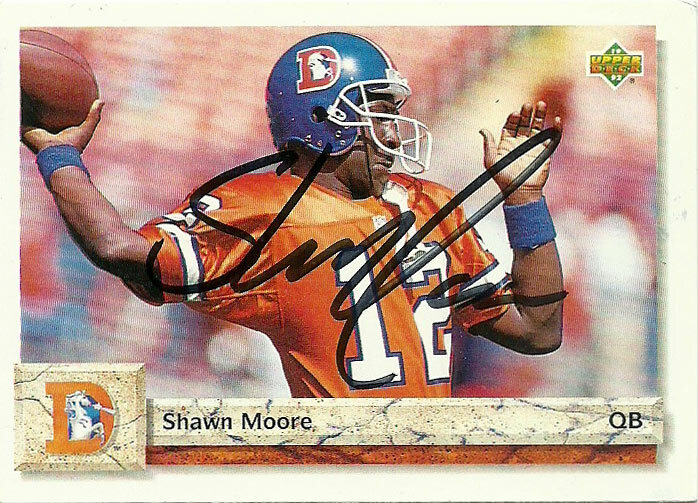 He also briefly played for the Saskatchewan Roughriders. 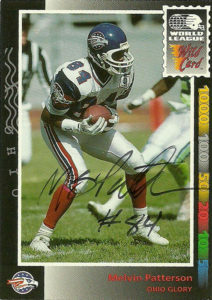 Henry was selected in the 8th round of the WLAF positional draft in 1991. He played both defensive back and punt returner for the Birmingham Fire. His 10.7 punt return yard average was second in the league, and a 50 yard punt return for a touchdown in a 28-7 win over the Skyhawks. Despite the Fire’s deep secondary, James contributed with 2 interceptions- including a 77 yarder he returned for a TD against the Thunder. 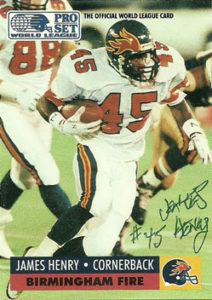 James returned to the Fire for 1992. but was unable to duplicate his success from the previous year as teams were aware of how dangerous he was in the open field. He finished with 14 punt returns for 47 yards. During one of those games in 1992, I’d corral most of the defensive secondary and have them pen their autographs on their cards. James eluded me essentially for 25 years. 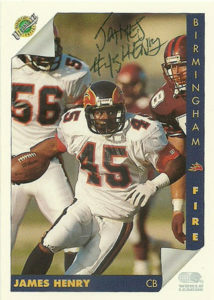 With James Henry’s autograph, I am now just down to one player from the Birmingham Fire’s ProSet WLAF set- Kenny Bell. I thought I had found Henry earlier this year via Spokeo and cross referencing his information with his trading cards, but the address in Mississippi never responded. Mark (Mark’s Signing Bonus) and I have collaborated on addresses of players from the WLAF. He got a hit from Henry and passed the information along to me. I was very happy that this worked out.